Then put my existing MAME config in the save dir and BOOM!!! IT’S ALIVE!!! lightning strikes and thunder crashes MWAHAHAHAHA!!! Ok, but seriously though, that completely fixed the issue. So, for some reason, the Neo Geo CD setup via mame get’s confused about where it’s supposed to read/write the cfg files to if ‘save to content dir’ options are enabled. I NEVER would have figured that out without your guys help. Like, it never would have occured to me the cfg files were being handled as saves. This could be a bug that would sooner or later frustrate many people. Consider logging an issue. 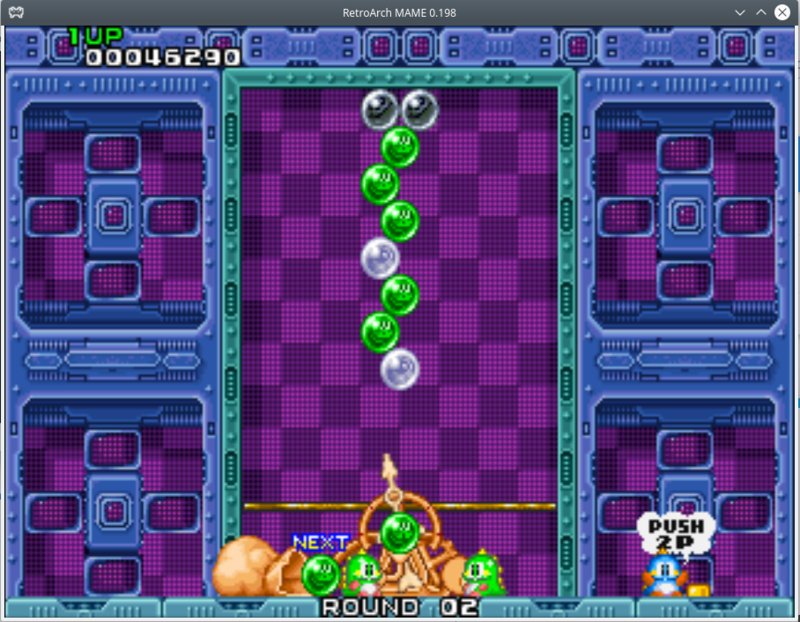 I keep meaning to start dabbling with MAME-git but I also keep getting into side projects with the older MAME cores. How would one ‘log an issue’? I figured the best I could do was point it out here in case it was a bug. Certainly seems like an unusual behavior lol it screwed with me for at least a year. I’m sorry I jumped into some jargon. libretro uses the ‘github’ service to keep track of its code as well as to add features and fix bugs. As a sidenote, the fbalpha core now runs neogeo cd, see the repository readme for more informations. FB Alpha doesn’t support chd apparently. So I tried this method, and had some weird results. First let me say I like keeping a separate cfg file for each console. They are named after one. Here are some of my trials. retroarch.cfg, Load RocketLauncher, Load Game. RESULT = Game starts, but in background, have to alt tab to bring it to front. So there we go, nothing seems to work exactly as it should. I find it odd that whenever I save a config under the console name seems to crash it every time. I tried it here and it ran like a dream. I would appreciate if you could help me get this going. I finally got some chd files and I set it up as you described in your first post but when the MAME screen pops up RA freezes. Go into the core updater. It’s near the top. I read that. I don’t have isos. I have bin/cue and another set of chd. Also can’t get the CHD Versions to load. Well I have now tried bin/cue, iso, and chd and have yet to be able to get this to work. If anyone else could chime in that would be great. I have been wanting to play these games for a while now and I like RA cores because they have save states.